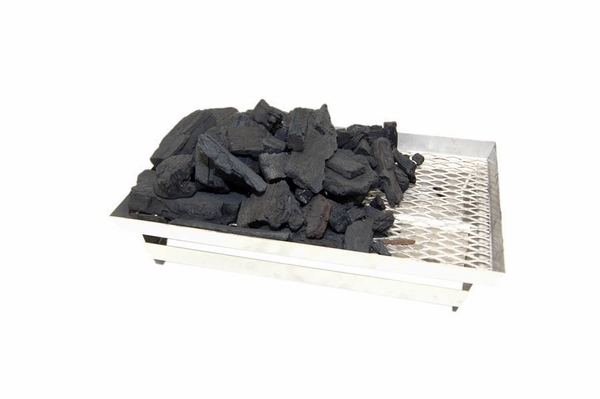 This charcoal basket lets you adapt your gas grill for use with wood chunks or charcoal. The accessory sits on top of the gas burners and uses them to ignite the coals or wood so that your grill is ready for cooking in minutes. The basket is made of 100% stainless steel and it contains a tray to catch the charcoal ash so that your burners stay clean. The basket measures 13" L x 9.75" W and will fit Aurora A540 and A430, Regal 1 and Custom 1 grills (18" deep, front to back cooking surface) by Fire magic. WARNING: Cancer and Reproductive Harm. For more information go to www.P65Warnings.ca.gov.